Why Did Ernest Hemingway Despise Ford Madox Ford? By Brian Hoey. Dec 17, 2016. 9:00 AM. Ernest Hemingway, author of A Farewell to Arms (1929) and The Old Man and the Sea (1952), was not one to shy away from literary feuds. He and F. Scott Fitzgerald had a friendship that seems, in retrospect, more like a sibling rivalry than anything else, and his and fellow Nobel laureate William Faulkner’s mutual distaste for each other’s writing is well documented. 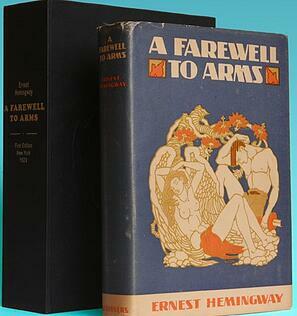 Often forgotten, however, is Hemingway’s feud with English novelist Ford Madox Ford. This in spite of the fact that one of the most scathing character sketches in Hemingway’s posthumously published memoir A Moveable Feast (1964) focuses not on Fitzgerald or Gertrude Stein (though both are dealt with roughly) but on Ford. 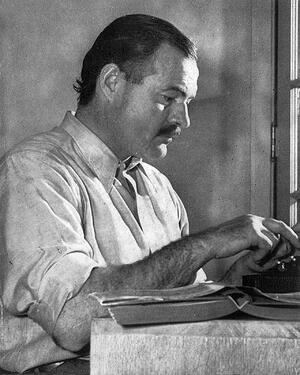 In many instances (see: Gertrude Stein and Sherwood Anderson), Hemingway’s relationships with older writers start out nurturing and quickly devolve into bitterness. In the case of Hemingway and Ford, the pair seem to have skipped straight to the latter phase. They were brought into contact by Ezra Pound, who thought that Hemingway’s stature as a writer would be helped by working as an editor on Ford’s magazine Transatlantic Review. For his part, Ford had already developed a significant track record for promoting young and promising writers with his work as the founder of The English Review, which published works by Thomas Hardy, H.G. Wells, and Joseph Conrad (with whom Ford actually co-authored multiple books). While Hemingway worked at The Transatlantic Review, the magazine published several of his early stories (all of which had been thitherto rejected by American magazines). He also took full editorial control of the magazine during a period while Ford was unable to work on it. Displaying his typical impetuosity, the young author took his lack of supervision as license to attack a number of Ford’s friends and colleagues, from Jean Cocteau and Tristan Tzara to T.S. Eliot (of whom he said, “If I knew that by grinding Mr. Eliot into a fine dry powder and sprinkling that powder over [recently departed novelist Joseph] Conrad’s grave Mr. Conrad would shortly appear…I would leave for London immediately with a sausage grinder.”). Naturally, this editorial coup was the apex of Hemingway’s disdain. By all accounts, however, Hemingway’s disdain for Ford predates any actual personal skirmishes—as best as anyone could tell, Hemingway immediately found Ford to be pompous and overly aristocratic. This opinion could apparently not be influenced, and would be immortalized in A Moveable Feast. Hemingway’s comments may seem bizarre simply by dint of how personal and how aggressive they are. But the most bizarre element of Hemingway’s feud with Ford Madox Ford may be how one-sided it was. Even while Hemingway was making editorial comments for which Ford would have to publicly apologize (thereby further galling Hemingway), Ford was a champion of Hemingway’s work. Later in life, however, some reciprocal bitterness did finally creep into the writer’s psyche. During a late interview with journalist George Seldes, Ford, on the verge of tears, says of Hemingway: '"he disowns me now that he has become better known than I am.' Tears now came to Ford's eyes… 'I helped Joseph Conrad, I helped Hemingway. I helped a dozen, a score of writers, and many of them have beaten me. I'm now an old man and I'll die without making a name like Hemingway."' In his published description of the encounter, Seldes notes, "At this climax Ford began to sob. Then he began to cry."